Join the dead! Vote for Hillary! 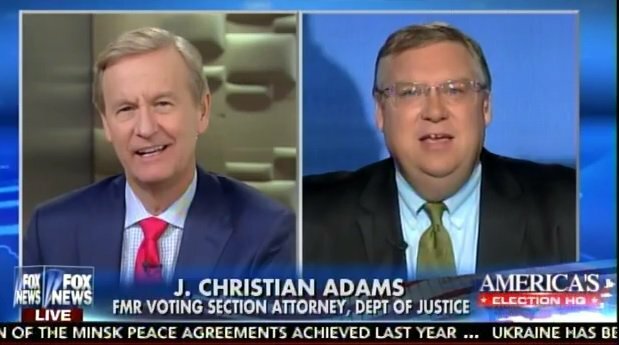 Department of Justice elections expert, J. Christian Adams, was on Fox News this morning and stunned Fox News Anchor Steve Doocy with the news that there are 4 million dead people on voter rolls across the country — that, of course, is limited to those they know about. The news blitz that is pounding Donald Trump with false accusations is just a blatant attempt to demoralize his political base — YOU who want him to be president and do not want to see Hillary Clinton anywhere near the Oval Office again. Don’t let the media win! Every vote for Donald Trump is a vote against the Clinton/Obama organizations and a condemnation of what they have done to the United States. Every vote for Donald Trump is a vote for: the sanctity of the Constitution; your free speech; your freedom of religion; your right to protect yourself against bad people; and for cleaning up the mess Obama made with “executive orders.” Hillary will never attempt to correct the Obama mess — that was the contract she signed to get Obama to campaign for her and against Donald Trump.